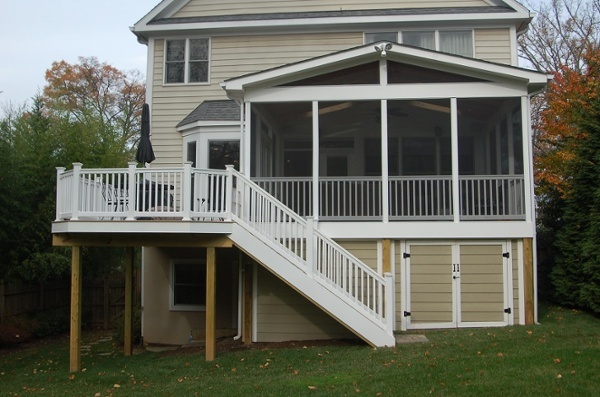 This screened-in porch was constructed for homeowners in Bethesda, Maryland looking for a usable outdoor space. It features an open cathedral ceiling with cedar rafters, a ceiling fan, and sconce lighting. 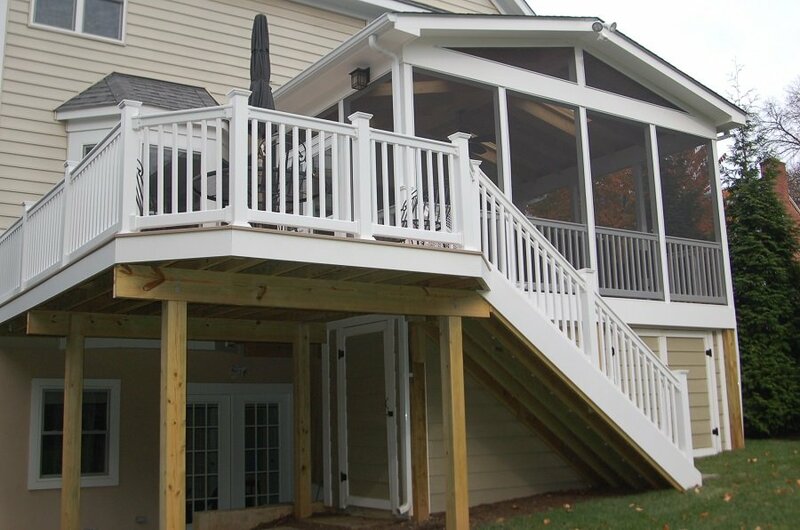 It walks out to a modest deck area with seating room. 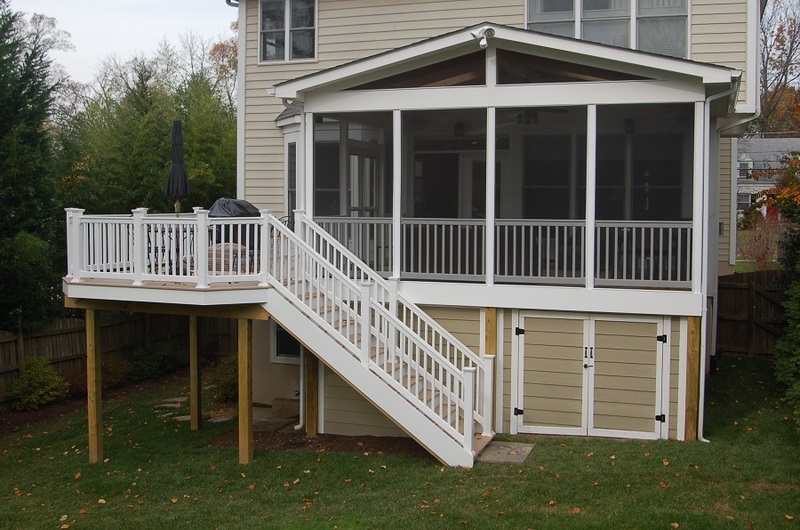 Beneath the deck is the entrance to the home's basement and a sizable weatherproof storage area. This was conceived as an alternative to a separate storage shed that would take up yard space. The deck is made with low-maintenance materials, from the Endurance railings to the HardiPlank siding that matches the home's stock siding. 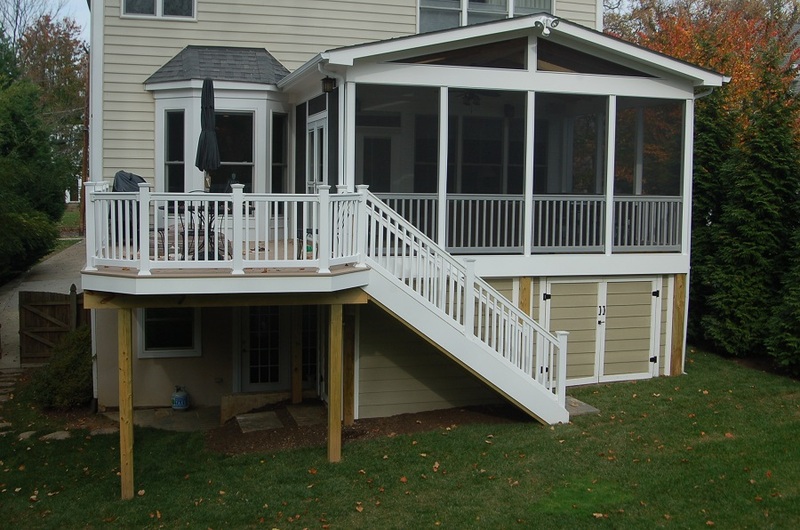 All of the exterior trim is PVC to conceal the pressure-treated frame.